WorkTimer from the company CyberMake. 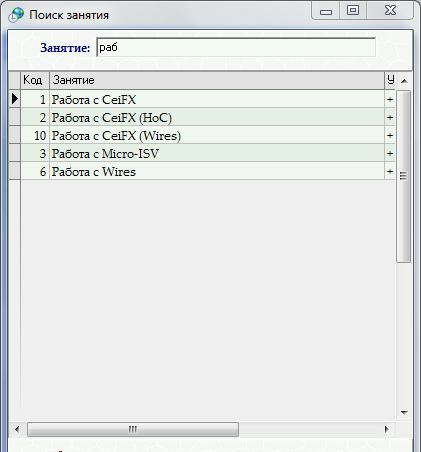 WorkTimer - a multi-functional system of working hours or time spent at the computer. WorkTimer - it's convenient and not replaceable program for those who work on an hourly wage. WorkTimer, can act as a timing, that is, in AUTOMATIC mode, as the survey than the busy user after a set period of time. Convenient search for existing classes. Adding an infinite level categories and sub-class. Selectable skins. The ability to display the time until the completion of a class, or the working day, if you set the time countdown to the timing. The link you can download a demo version of the 30 day application. 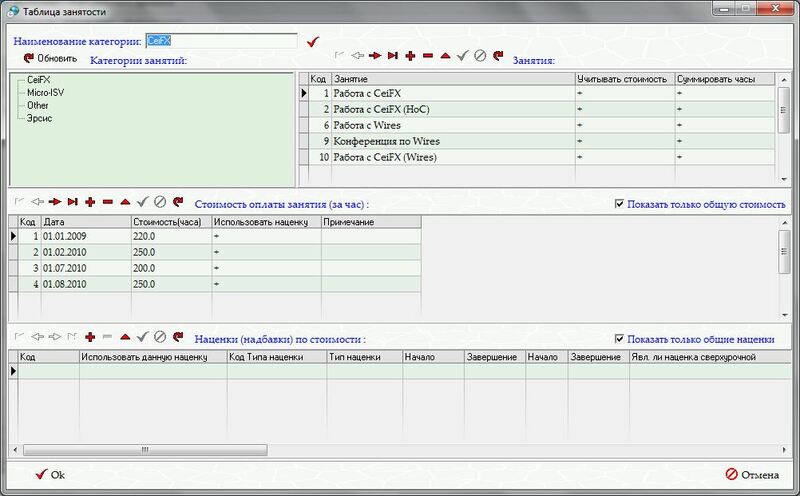 after which the filling, your email will be sent to install a full-featured version of the software WorkTimer and registration information for the program. 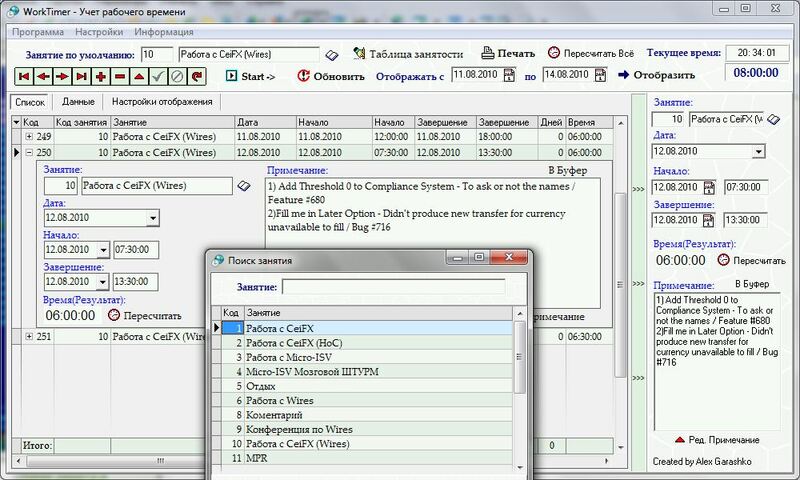 After installing the program, run it after you run, you will be prompted to enter registration data, they can also enter in the main menu under Settings, and then check, further otryvsheysya registration form, enter the information that you also get with the program.